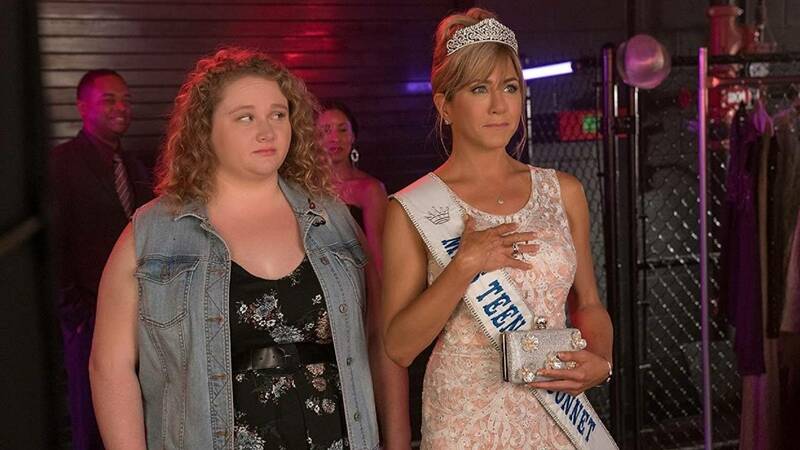 Netflix's "Dumplin'" stars Jennifer Aniston and Danielle Macdonald and features Dolly Parton songs. (CNN) - Stop if you've heard this one: An overweight girl clashes with her beauty-queen mother, entering a teen beauty pageant as an act of defiance. Yet the set-up somehow works reasonably well in "Dumplin'," a Netflix movie that weaves Dolly Parton songs throughout the story and casts Jennifer Aniston as the mom. Admittedly, the net result is basically a slightly-edgier Hallmark movie, and bears a resemblance to Netflix's recent teen rom-com "Sierra Burgess is a Loser." Then again, when you're churning out this much content, a certain amount of repetition is perhaps inevitable. Still, "Patti Cake$" star Danielle Macdonald, in the central role, helps elevate the material, bringing considerable vulnerability to Macdonald's Willowdean, who grew up spending lots of time with her aunt Lucy, with whom she shared plus-sized dimensions and a passion for all things Dolly. But Lucy has died, and Willowdean's hostility toward her mother only grows when the latest edition of the pageant the latter presides over, Clover County Miss Teen Blueebonnet, rolls around, with all the Texas-sized drama that entails. 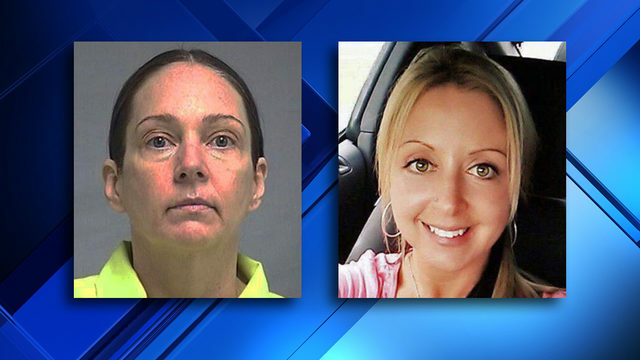 "I know that you can't stand that your daughter looks like this," Willowdean says. Her participation in the pageant creates all sorts of friction, including between Willowdean and her childhood friend Ellen (Odeya Rush), who more traditionally looks the beauty-queen part. Angry and hurt, Willowdean bonds with fellow outcasts, and befriends the employees at a local drag revue devoted to (what else?) Dolly Parton. Adapted from Julie Murphy's book, the decision to weave Parton's music throughout the film (including a new Golden Globe-nominated song, "Girl in the Movies") goes to Aniston, who doubled as a producer. It's certainly a shrewd promotional maneuver, especially since Parton-branded movies -- beginning with "Coat of Many Colors" -- have already proved to be a success on NBC. "Dumplin'" possesses a sharper tone than those films but still features a lot of the same warm fuzzies -- at least, once you get past all the tears and self-doubt, which includes Willowdean's disbelief that an attractive young co-worker (Luke Benward) could actually be attracted to her. It's all presented with admirable conviction, although when the movie arrived as part of a "For Your Consideration" Oscar mailing, it was frankly hard not to wonder if Netflix is suffering from delusions of grandeur (or more likely, operating under contractual obligations). Aniston's role nicely suits her, although the pageant portion of the proceedings drags on too long. By then, though, "Dumplin'" has pretty much made its point about acceptance and tolerance, in the kind of polished feel-good movie that comes wrapped up in a very familiar coat, indeed. "Dumplin'" premieres Dec. 7 in select theaters and on Netflix.